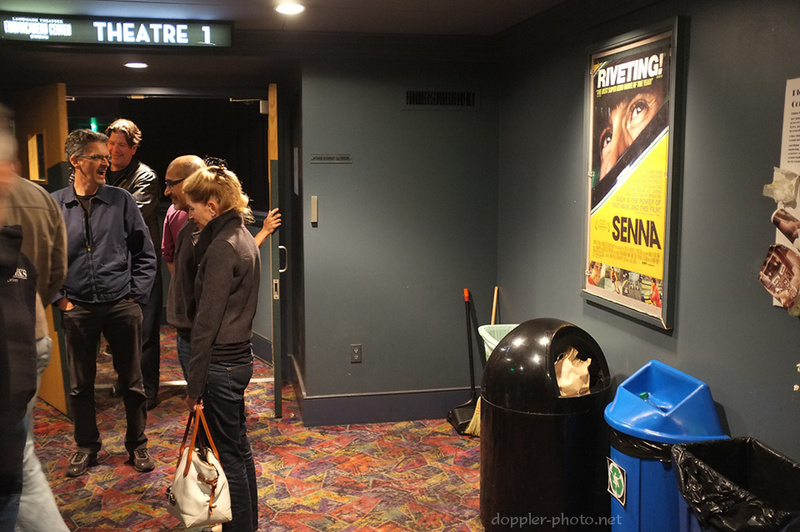 Last night, I saw a theatrical showing of the documentary Senna at Embarcadero Center Cinema around 10:00 pm. The large screen certainly did the film justice — according to director Asif Kapadia, the documentary was able to include around 80 minutes of footage from the Formula One archives. Sitting in a theater full of F1 fans, it was interesting to hear the collective, knowing gasp when the day of Senna's final race arrived. 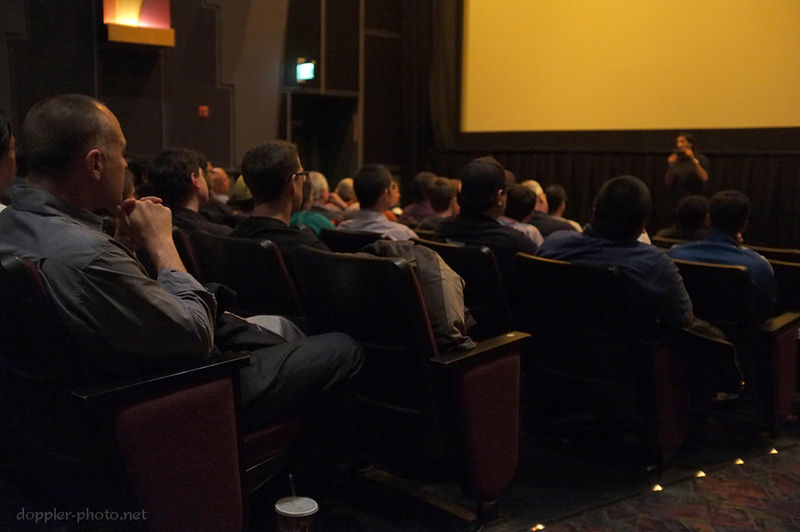 Above, attendees watch and listen as Kapadia (far right) discusses the film after the showing. I think that anyone with an interest in cars and/or car safety would enjoy the film, as well as anyone just interested in learning about a charismatic young man whose life and death changed the world around him. In my relatively short history of watching F1, I saw one of the safety innovations following Senna's death likely save driver Kimi Räikkönen from injury after his carbon-fiber suspension shattered during the 2005 Nürburgring F1 race. One of Senna's multiple fatal injuries was that the right-front wheel impacted his head during the high-speed collision, causing severe skull injuries. In the video of Räikkönen's accident, you can see that the free wheel is restrained by a safety cable that became a requirement in the years following Senna's death. People leave the theater after the showing, including Peter Habicht (left, farthest from camera), the organizer of the showing and president of the SF F1 watching group.